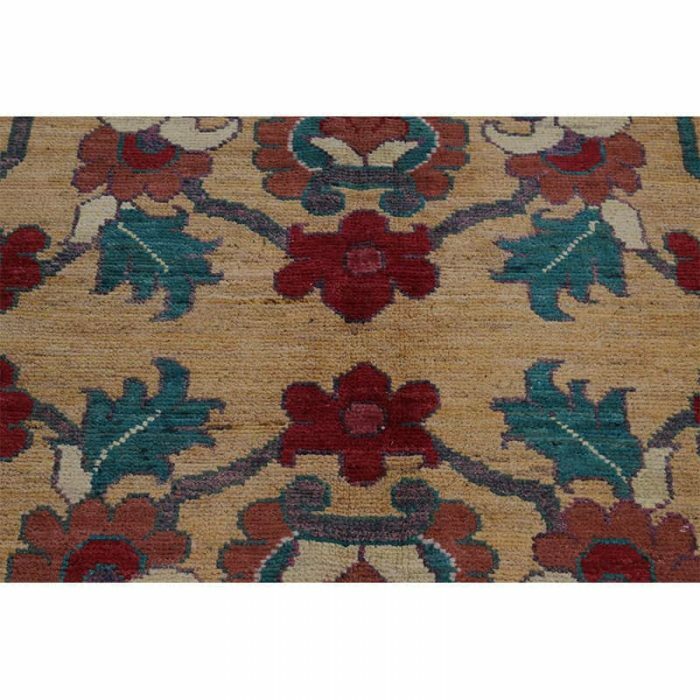 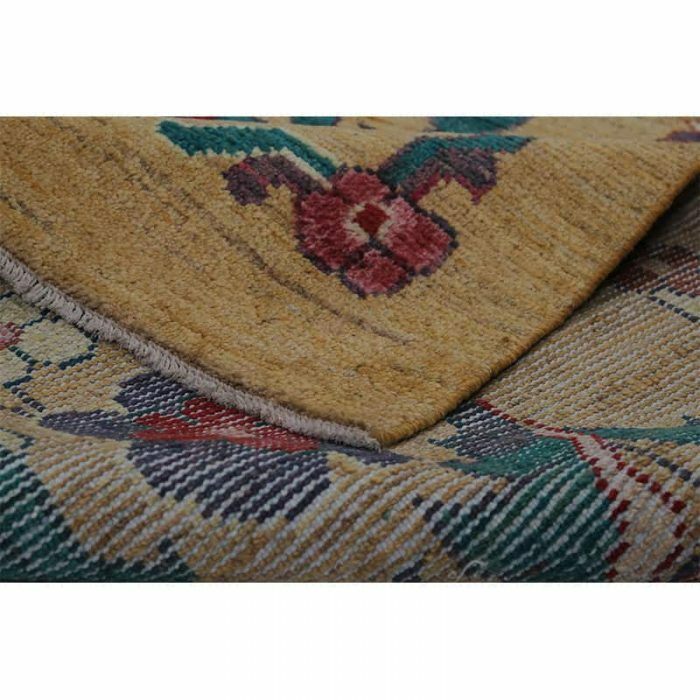 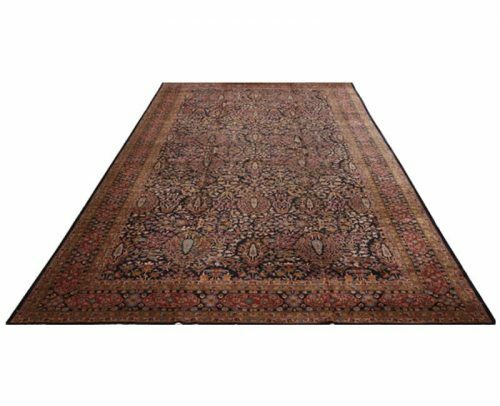 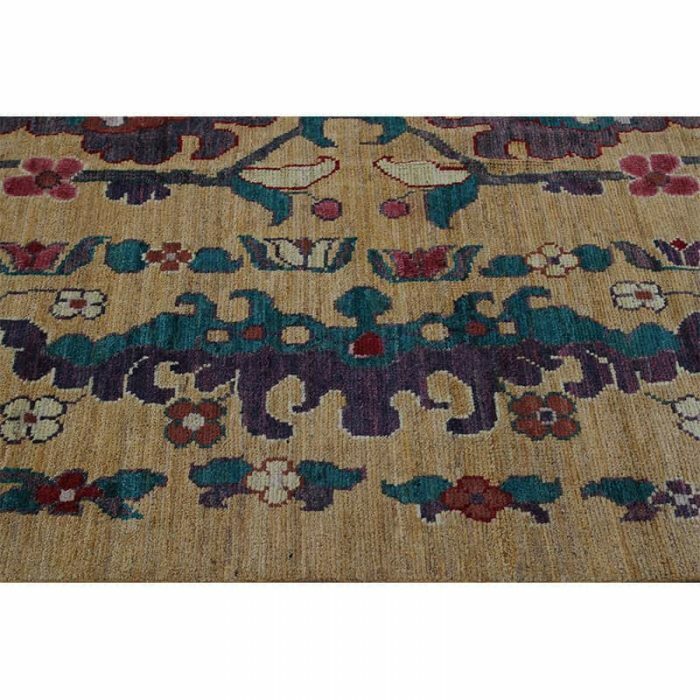 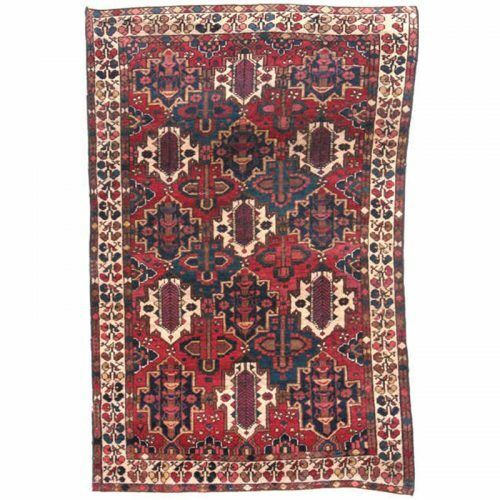 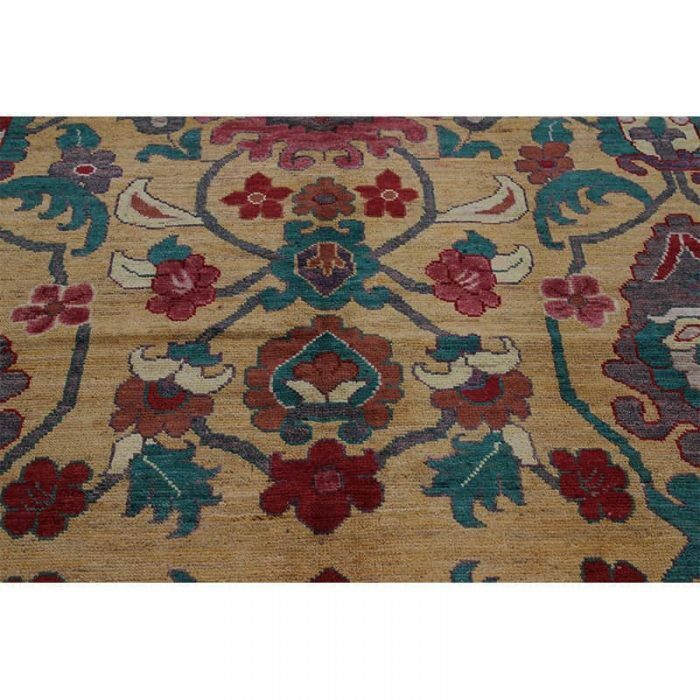 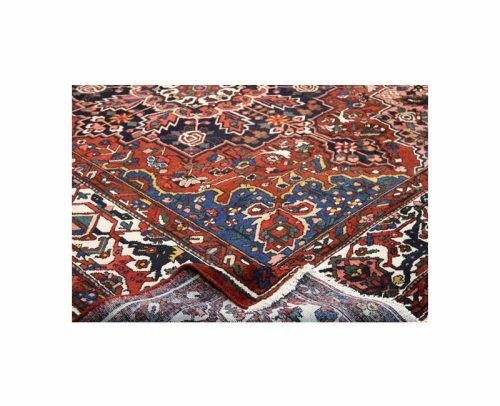 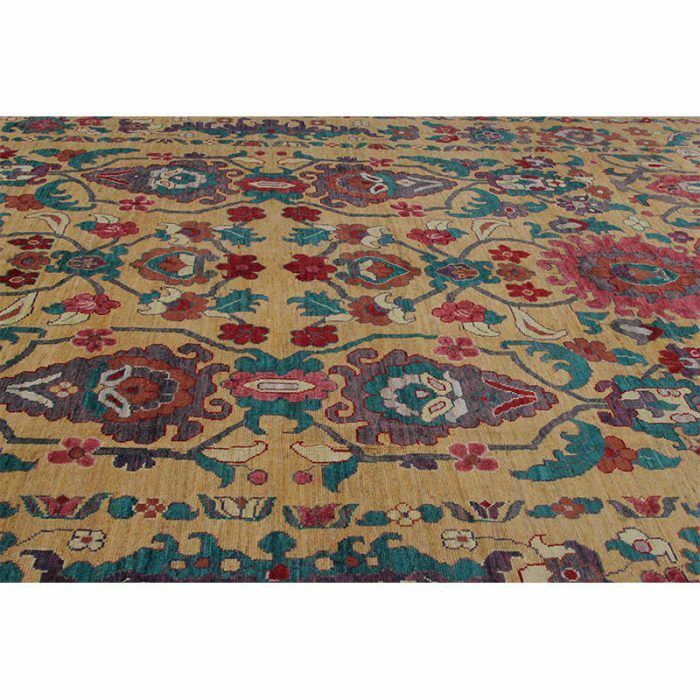 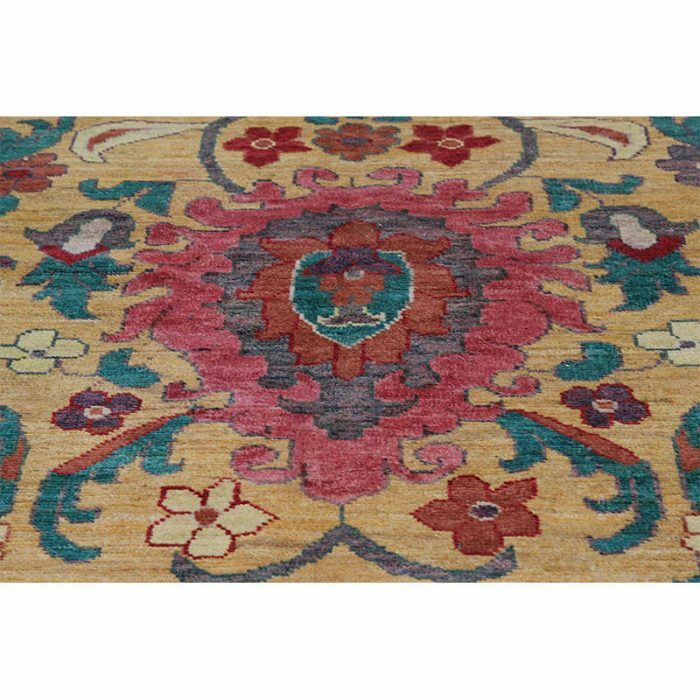 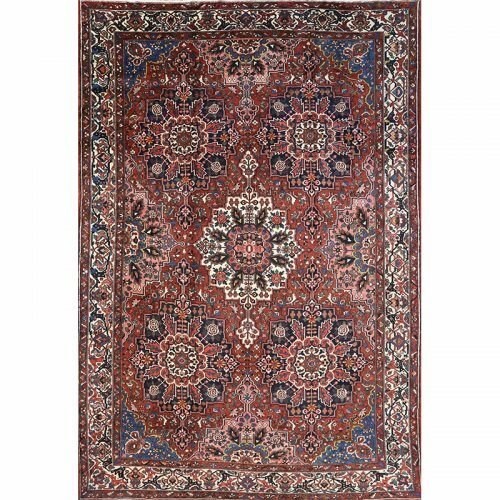 Traditional Hand-woven Persian Sultanabad Rug from RenCollection Rugs – This traditional hand-woven Persian Sultanabad rug has been recreated from an antique design. 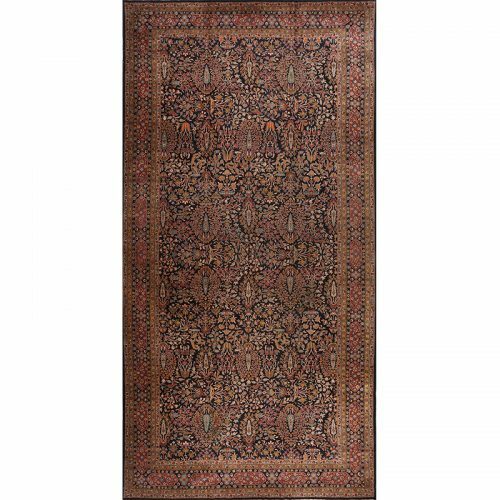 Hand woven in modern day Iran, this elegant piece is a compelling work of art for the interior designer wanting a simple but striking foundation for their room. 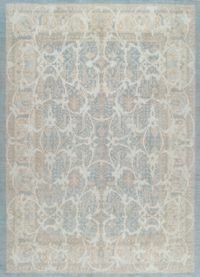 This beautifully simplistic tribal rug fits perfectly into any design style from modern commercial to trendy industrial. 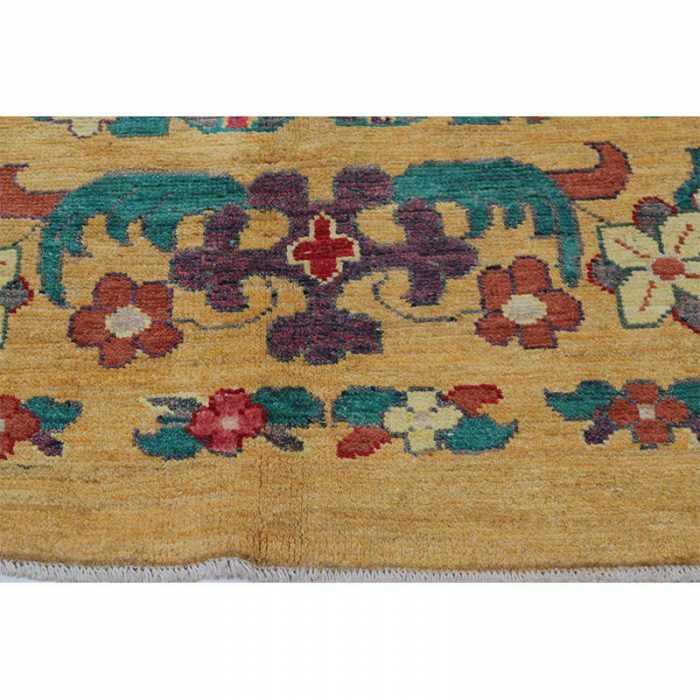 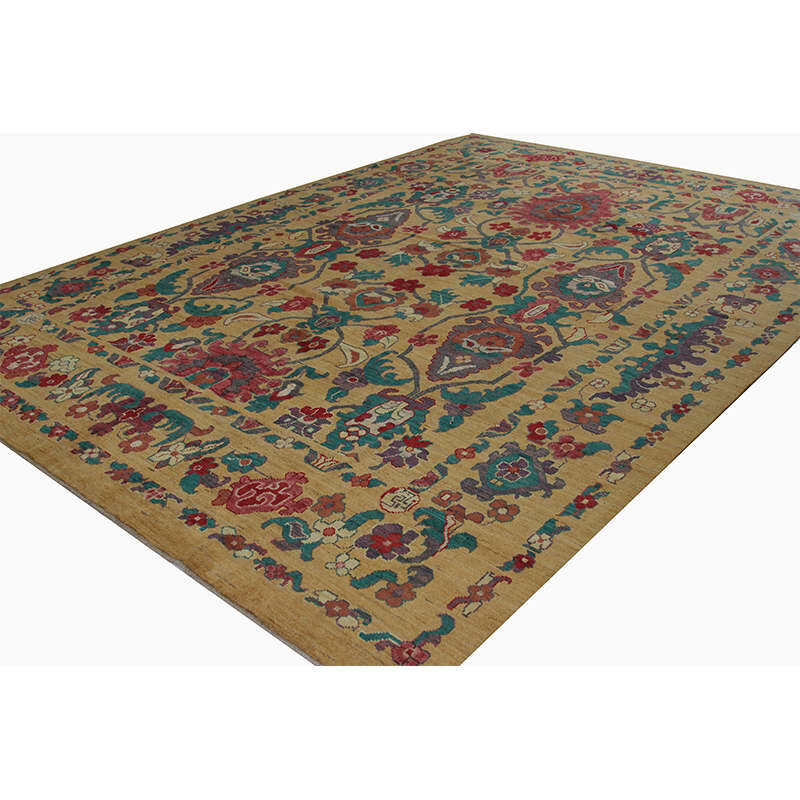 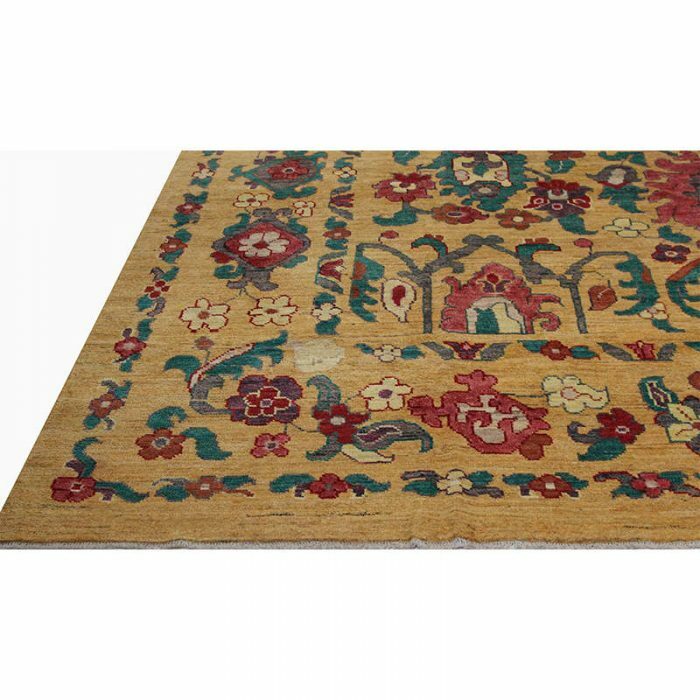 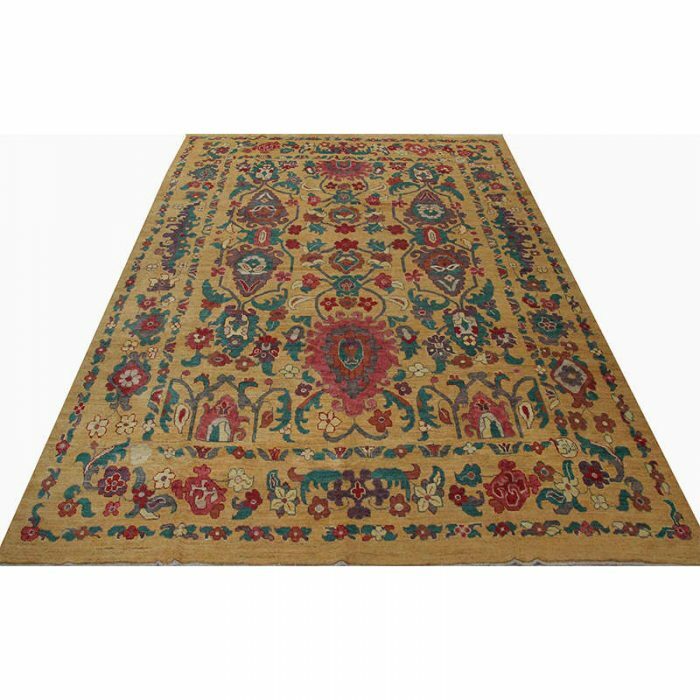 Traditional hand-woven Persian Sultanabad rug recreation featuring an all-over design of palmettes and flowerheads intertwined with scrolling vines on a large yellow field and border. 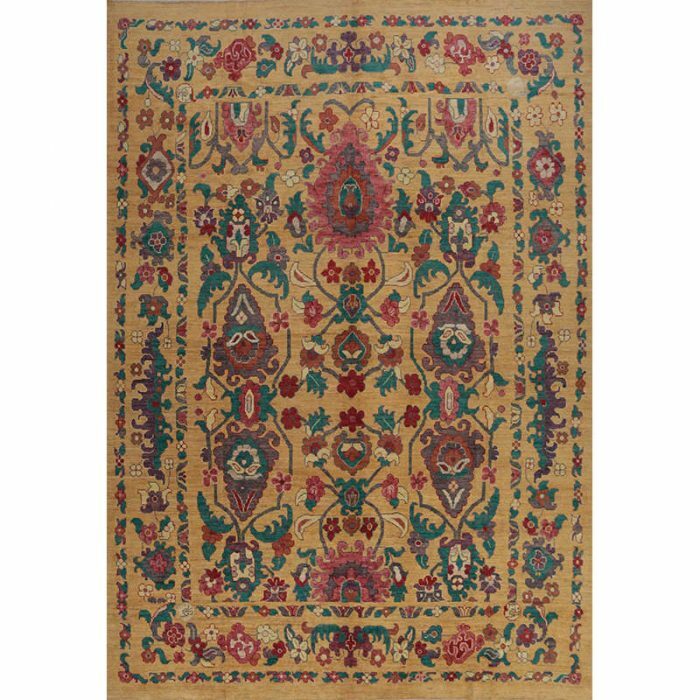 Created from 100% wool by the artisans of Iran. This rug is created with a special wool that gives each piece a very specific and unique look. 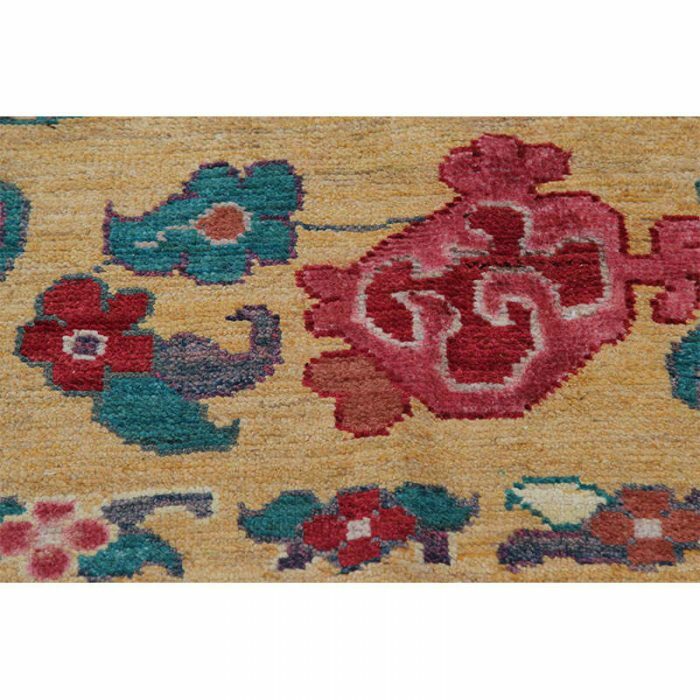 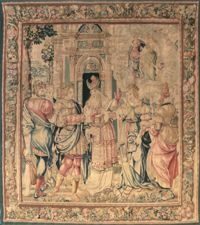 Therefore, each rug may have a variation in color and shading which is indicative of this process but enhances the character and value.